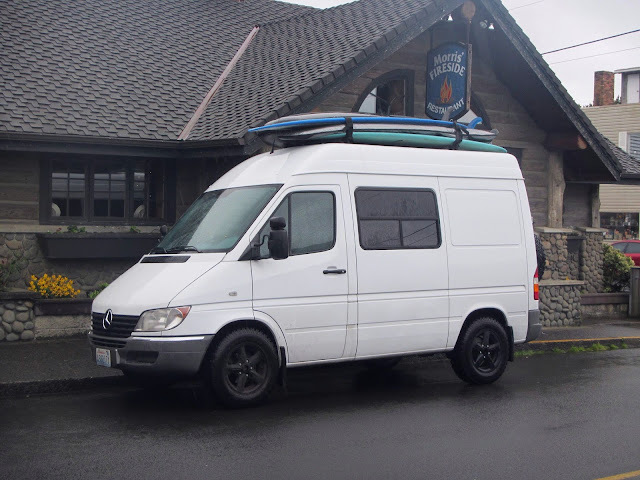 Spotted this Sprinter outside of Morris' Fireside Restaurant in Cannon Beach, Oregon. Complete camper with dual sliding doors, all-terrain tires and three big boards on a tall top. That's one helluva van!